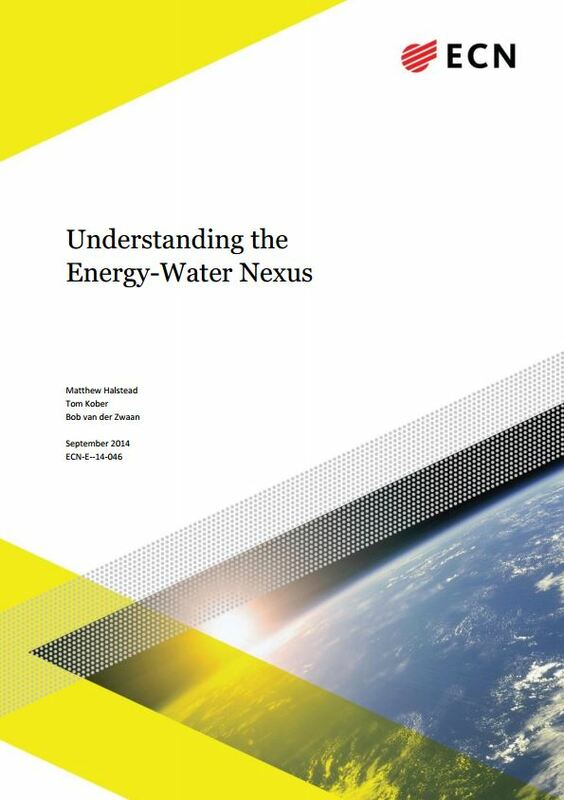 Energy research Centre of the Netherlands (ECN) recently released the publication ‘Understanding the Energy-Water Nexus’ that can be downloaded at http://www.ecn.nl/docs/library/report/2014/e14046.pdf. Climate change is a global problem, and one of the main challenges facing mankind this century. Climate change is driven mainly by energy use and land use changes, but at the same time climate change mitigation and adaptation measures place increased pressure on water and land resources. The use of conventional energy technologies contributes negatively to climate change, and some technologies require large amounts of water. However, water and land are often crucial resource inputs for implementing climate mitigation and adaptation measures. Climate change and energy, water and food resource systems are fundamentally interrelated. We need energy to produce food and to treat and move water; we need water to cultivate food crops and to generate essentially any form of energy; and we need food to support the world’s growing population that both generates and relies on energy and water services. Land availability also constitutes an important element in each of these three resources, for example for crop production for either food or energy purposes. This mutual relationship is defined as the “Energy-Water-Food Nexus”. To date, the three individual resource systems of energy, water, and food have mostly been organised and studied independently. In a rapidly developing world with ever more pressing environmental challenges, however, choices and actions in each of these three domains can significantly affect the others, positively or negatively. Therefore it is important to take a “nexus approach” to analysing these three resource systems. Conventional policy- and decision-making with regards to each of these domains in isolation is not necessarily anymore the most effective or optimal course of planning or action. A “nexus approach”, which in our context refers to a multidisciplinary type of analysis of the relationship between energy, water and food, can help to balance trade-offs and to build synergies across these different sectors. In an increasingly complex and interrelated world this approach can lead to better and more efficient resource use as well as cross-sectoral policy coherence. This report begins by reviewing the current thinking reported in the existing literature on the “Energy-Water-Food Nexus”. Given that the nexus constitutes a broad, recently emerging, and still largely undefined and poorly understood concept and associated field of research, we then narrow down our focus to predominantly inspect the interrelationship between energy and water. This report aims to inform local and regional decision-makers responsible for the development and implementation of policies related to energy and water resource systems. By caribbeanclimate in News on November 14, 2014 .